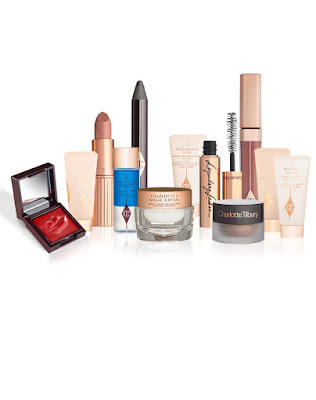 Home advent benefit calendar charlotte tilbury christmas ciate makeup w7 Beauty Advent Calendars - My Top Picks! Beauty Advent Calendars - My Top Picks! Christmas is fast approaching and the shops are jam packed with absolutely everything Christmas related..
Over recent years beauty advent calendars have been a huge hit instead of the traditional chocolate filled ones (I won't lie I'd accept either). So I decided to write a post on my top picks of beauty advent calendars this year, which are a great idea to get all your beauty needs coming up to the party season! This year the advent calendar I've bought myself is the No7 one which contains all your beauty needs from skincare, tools and makeup. I love No7 skincare and after seeing posts about last years calendar I just couldn't resist and had to buy this one. I purchased mine from Boots online and had it delivered the very next day which was amazing! Unfortunately it's now sold out online but I'm pretty sure there's still some available in some stores. This one retails for €54.00 which I think is a great price since you get so many products in it. I can't wait to start opening mine from December 1st! You can have a look at the products included in the No7 Bright Lights Big City Advent Calendar on the Boots website here. 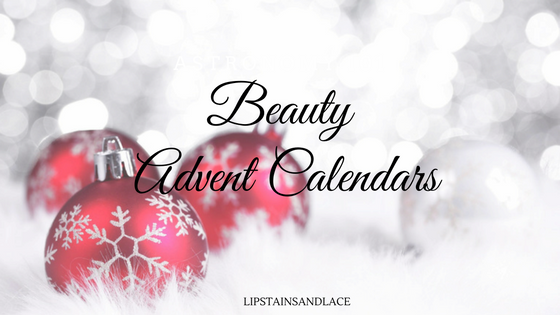 This advent calendar is definitely on the more pricey side and isn't to everyones' taste.. but the Charlotte Tilbury Advent Calendar is to die for! This calendar contains 12 doors and contains 12 travel side products. The packaging on this is so luxurious and gorgeous. But again it is on the extremely expensive side for €195. But if you or someone you know is a huge fan of luxurious higher end products then this would be a great gift, either for yourself or a friend. The Charlotte Tilbury World of Legendary Parties Advent Calendar can be bought from Brown Thomas online here or on the Charlotte Tilbury website here. 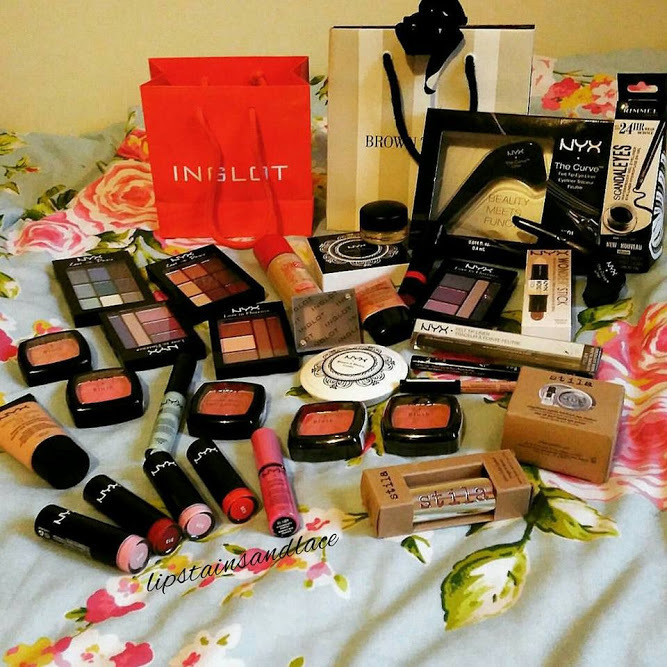 Almost everyone and their mothers know that I'm a massive fan of NYX makeup.. the pictures below proves just that! 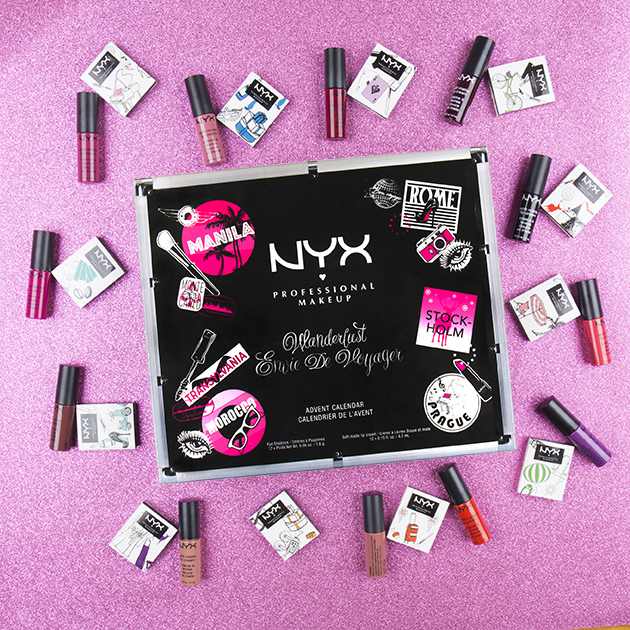 The NYX Advent Calendar is what dreams are made for. This calendar has 24 doors so it brings you right up until Christmas Eve and contains 12 of their eyeshadows' and 12 mini soft matte lip creams. Matte lips were a huge hit this year and the NYX soft matte lip creams are one of the better brands I've tried for matte lip products. This calendar can be purchased in Arnotts stores as well as Boots online here for €84.00. Or Littlewoods have it on sale here for €79. For the nail polish lover in your life (even if it's you) this Ciate advent calendar is perfect. Ciate has a great reputation in the nail world and their advent calendar proves just why this is. This advent calendar contains 18 nail polishes and 6 nail treatments/accessories so you have everything you need for perfect nails for the holiday season. It retails for around €59.95 and can be bought from Cloud10Beauty here with free delivery on all orders over €40! The Benefit Girl O'Clock Rock Advent Calendar is great for any BeneBabe as it contains 12 of their best selling products in mini versions. This is great for anyone that's already a fan of Benefit because the products are so small and useful for your hadbag, it's also a great way to try out some of the Benefit products if you've never tried them before! The Benefit Advent Calendar retails for €46.00 which I think is a fair enough price because you get to try out 12 of their products before you decide to buy any full sized versions. This is great for anyone thinking of expanding their makeup collection or trying out Benefit products for the first time. 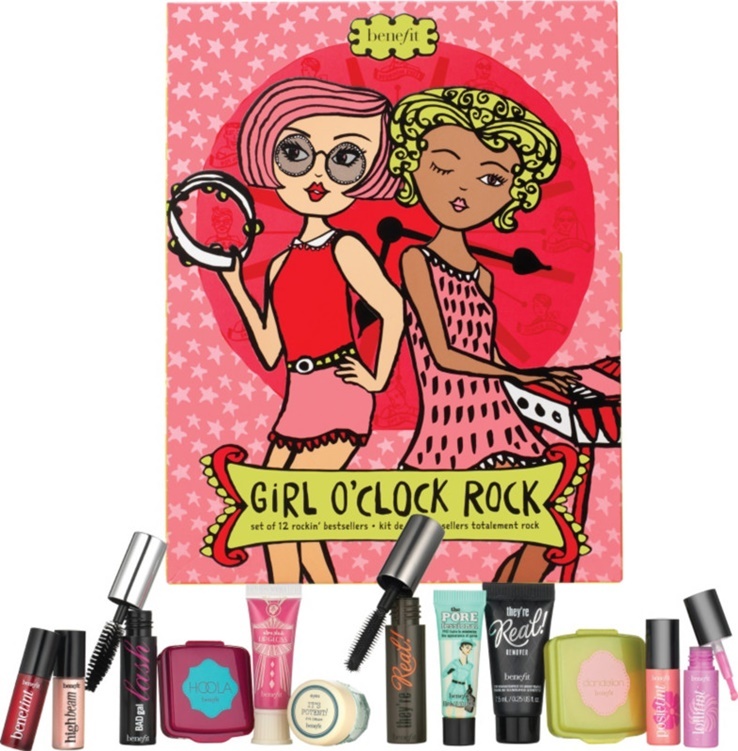 The Benefit Advent Calendar can be purchased from Debenhams online here. Last year I won the W7 Countdown to Christmas Advent Calendar which came jam packed with everything makeup related. I got a mascara, eyeshadows, gliters, lipsticks, glosses and more. 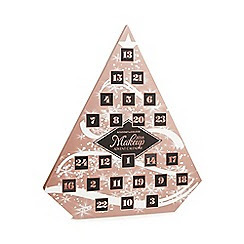 For the price this Advent Calendar is so reasonable because you get bits of everything to complete a makeup look. The glitters were so handy for the party season too! This advent calendar is unfortunately sold out online but I know that some pharmacies do stock them, so if you know anywhere with a W7 stand and you want this calendar you might get lucky! This advent calendar is great for the makeup lover on a budget. This advent calendar contains bits of everything from nail polishes and glosses to makeup brushes. I was in Debenhams recently and saw this in person and the first thing I couldn't believe 1. How absolutely gigantic it is and 2. How reasonably priced it was. There's 24 doors so you receive 24 products. What's even better is this is currently on sale on Debenhams website for €21.00 so grab one while you can! What beauty advent calendar will you be getting this year? let me know in the comments below!